Seeing the heart of Jesus in a child. One of the joys of the season is getting to spend special time with family and friends. We were blessed this past Friday evening to have dinner with Brad and Jennifer Blake and their four children. 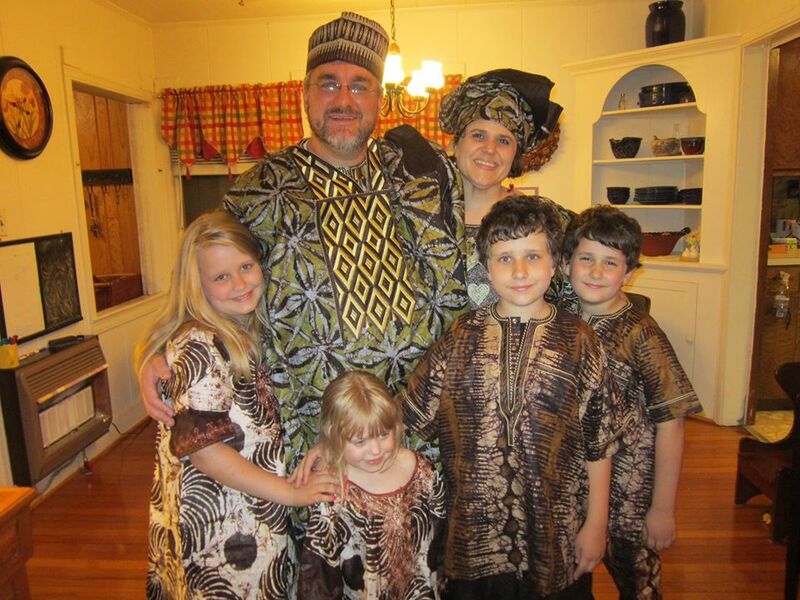 The Blakes are former long term missionaries to Nigeria. Three of the Blake’s four children were born in Nigeria, and Brad is the only American that I know that speaks the Hausa language fluently. Hausa is the local language of northern Nigeria. purse and counted out $20.00 and gave to him. As I watched these events unfold I was thinking to myself, the $20.00 must have been some of his Christmas money or something he had saved to buy something special that he wanted. I was so surprised and touched to the heart when he walked around the table to where I was seated and handed me the money. He wanted half of the money to go to the kids at the orphanage and half to our medical clinic both of which are in Chad. My heart melted and all I could think was Praise God! 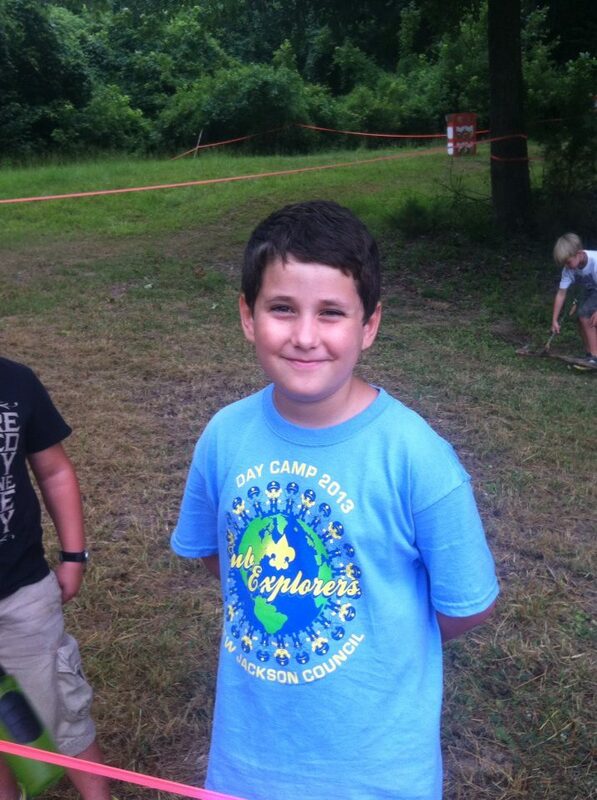 Jennifer told us that Musa has always had a heart for, and a desire to help the less fortunate. She said that he will often put together small care packages in small plastic bags, with things like toiletries and snacks. While they are out and about if they see a homeless person he will ask his mom to stop so he can give them one of the packs. Musa is only nine years old. His heart speaks volumes about his mom and dad. But it also forecasts the future. Can you imagine what God can and no doubt will do with someone so committed to the things that HE is committed to. 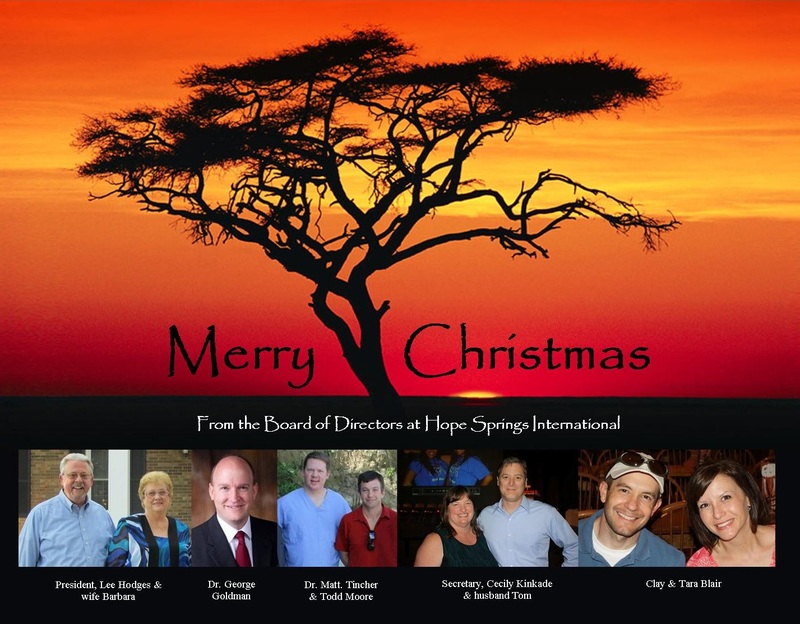 Many things have touched my heart in the years that I have worked with Hope Springs International, but those that touch me the most are the kids who give out of a concern for other kids and those in need. We have had a number of children donate their birthdays and ask that money be given to Hope Springs instead of gifts for themselves. Sometimes the things we experience in life cause us to become calloused and hardened and as adults we lose that childlike heart. Then a child like Musa comes along and right before our eyes we remember. We remember when we cared like that too. Thank you Musa for reminding us how Jesus responded to the needs of others He met. Thank you for reminding us that we used to be that way too, and maybe, just maybe, we could be that way again. 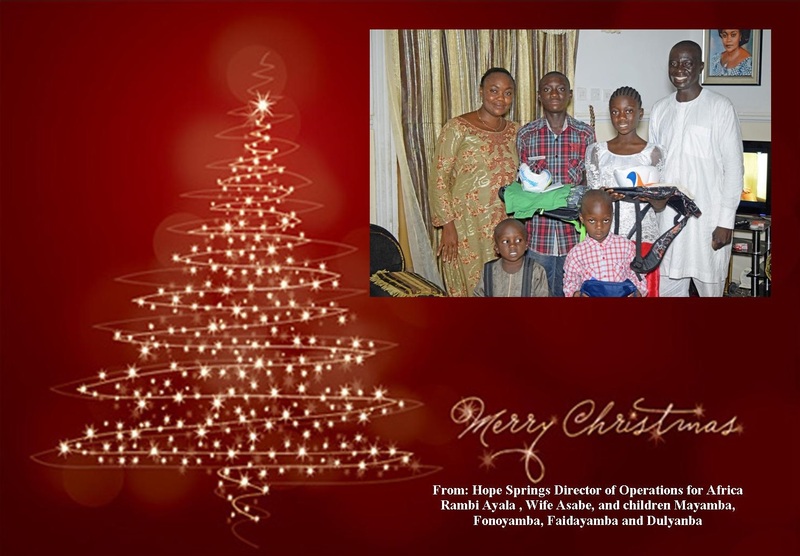 Categories: Chad, Children, Clinic, Orphans | Tags: Hausa language, Nigeria, northern Nigeria, The Heart of Christ | Permalink. 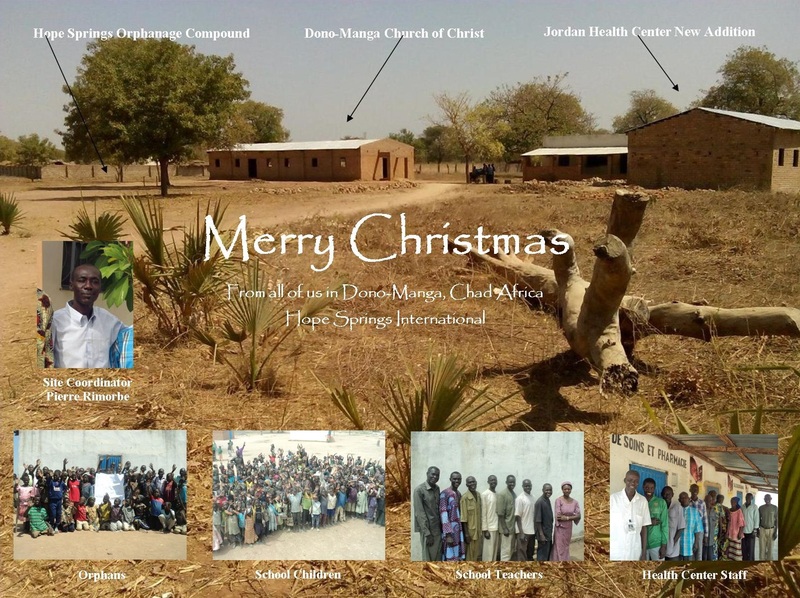 Merry Christmas from those on the front lines bring lasting change through health care, orphan care, education and clean water.